Britain and Gibraltar reacted with fury to a European Council document published today that described the British overseas territory as a colony. ‘It is completely unacceptable to describe Gibraltar in this way,’ British Prime Minister Theresa May‘s spokesman told reporters. ‘Gibraltar is a full part of the UK family and this will not change due to our exit from the EU,’ he said. 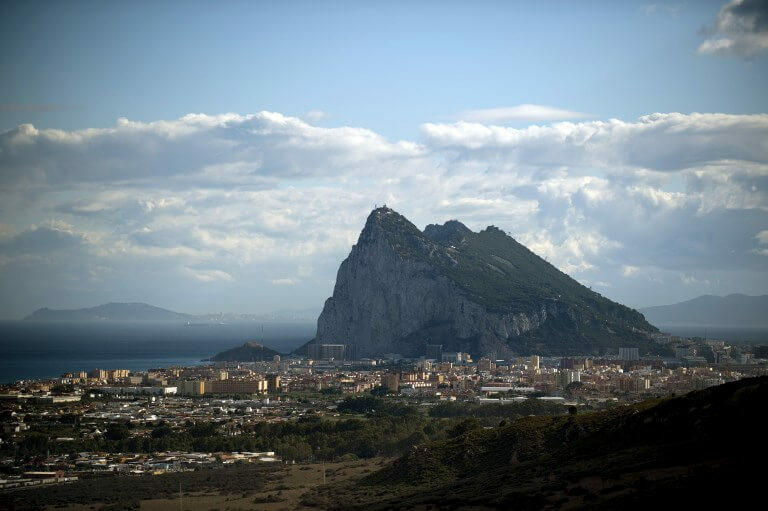 Its government expressed anger over the EU’s description, saying the ‘legal status of Gibraltar is not a matter of argument, it is a matter of fact’. ‘The use of such language, were it to materialise in the final documents, does not assist the creation a climate of understanding and trust between Gibraltar and Spain as we prepare to leave the EU,’ it added. ‘It is, in any case, totally irrelevant to our departure from the European Union and says more about Spain’s anachronistic obsession with Gibraltar than it does about anything else. Sharing a 1.2km fenced border with Spain, the implications of Brexit on Gibraltar have formed part of Britain’s divorce talks with the European Union. ‘Gibraltar is a colony of the British crown,’ the European Council document said in a starred footnote. ‘Is this another referendum result the EU is trying to overturn?’ Daniel Dalton, a British Conservative member of the European Parliament, said on Friday.